Get ready to flood that bucket list! 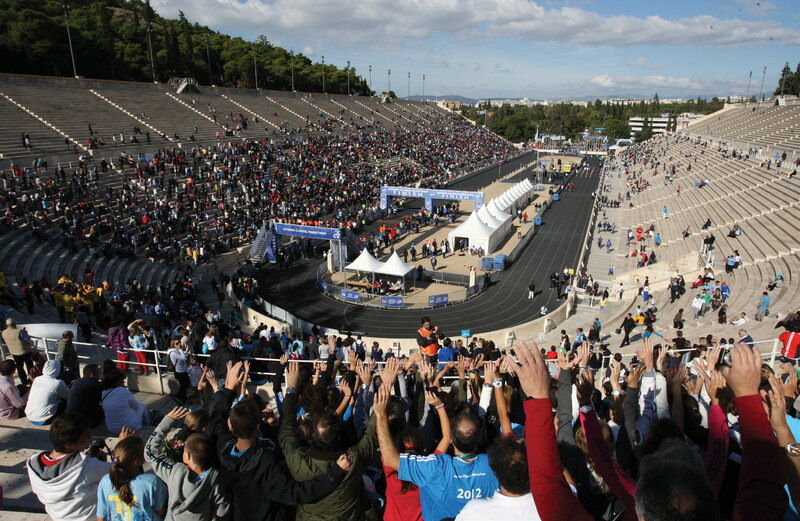 The top 10 races to run before you die. . . This is a small race, capped at 200 runners, so plan ahead. When you ask a runner to name her dream race, you often hear a listing of the old guard–Boston, New York, Chicago. Don’t get us wrong, they’re all fantastic marathons—but it’s a wide world out there, so why not dream outside the box? For runners who live for the journey more than the destination, there are thousands of races around the globe rich with culture. 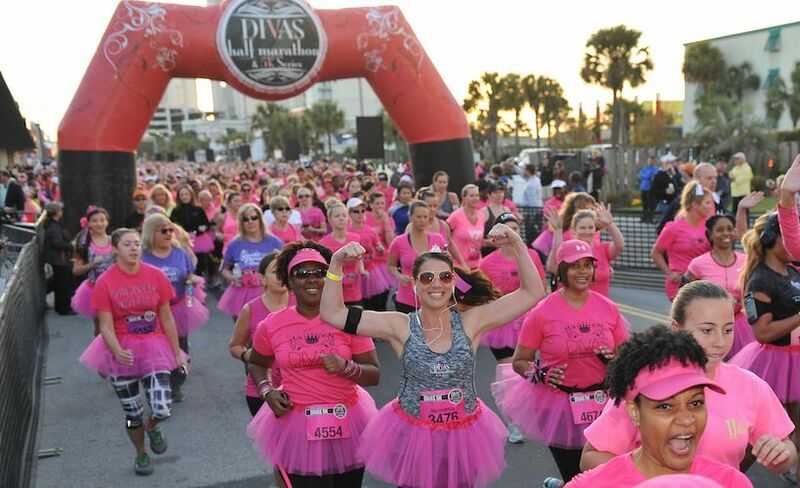 We polled Women’s Running’s editors, asked our readers and stalked message boards to narrow down our list to 10 ridiculously rad races, sure to satisfy your running wanderlust. Go forth and be adventurous. No need to thank us, but a postcard would be nice! 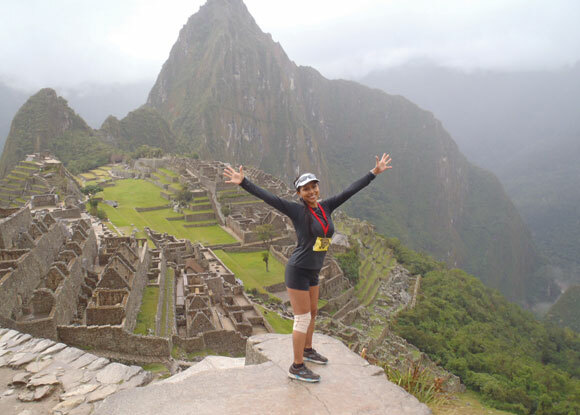 If you’ve ever considered hiking the epic ruins of Machu Picchu, why not run them instead? Racers travel the same footpath used by the Incas thousands of years ago. On race day, the route is outfitted with modern comforts like aid stations stocked with fresh water, a medical team and even a staffed campground for those who don’t meet the 11-hour cutoff and need to spend the night on-trail before finishing the next day. 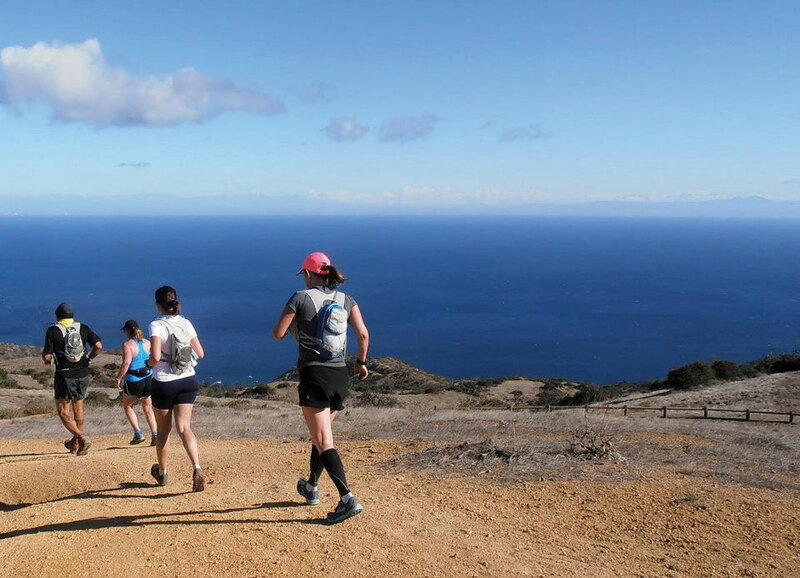 Take-your-breath-away vistas, welcoming locals and a rich culture deliver an epic race experience. The race is a point-to-point, beginning in Stra, 25k west of Venice. Stay near the start for a stress-free race morning and take the complimentary shuttle back from Venice. In a city mostly navigated by boat, how do 8,000 runners race for 26.2 miles? Rome may not have been built in a day, but Venice Marathon race organizers build a bridge in one. A 170-meter floating bridge is assembled across the Grand Canal specifically for the event. Adding to the Italian experience are starting line cappuccinos, up-close views of Piazza San Marco and 14 bridge crossings in the final 5k alone. You are in France, so finishing this race is a great excuse to enjoy chocolate croissants, cheese and plenty of wine. 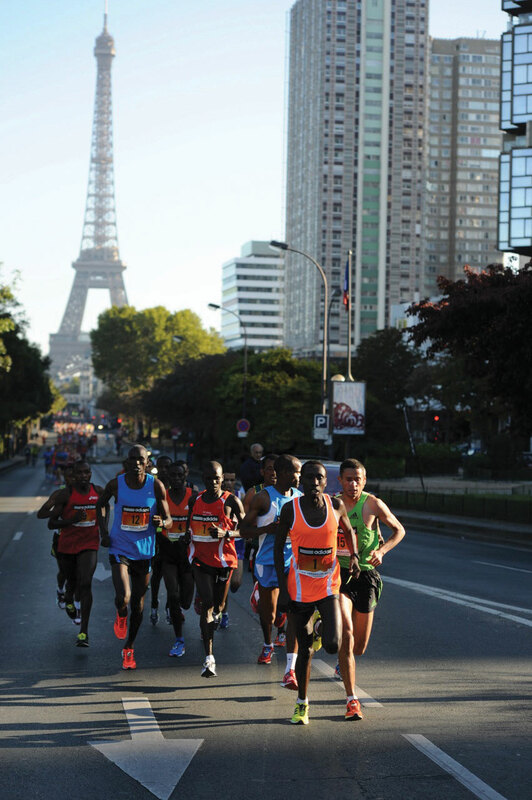 Starting at the Eiffel Tower and ending in Versailles, this 16k race lets runners retrace the route of royalty. 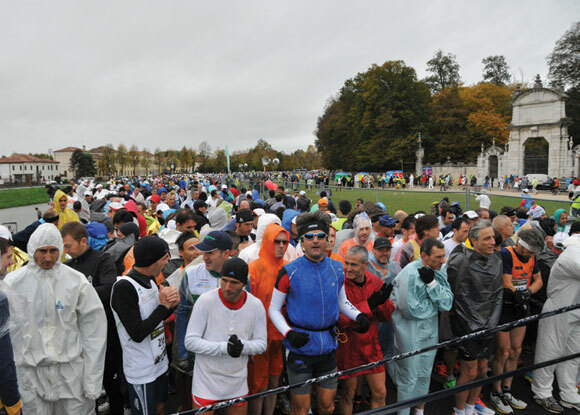 The course travels through Paris and along the river Seine, turns onto tree-lined boulevards and continues on winding paths all before a majestic finish in Versailles. The music, spectators and beautiful architecture make you feel like you’re in the movie Marie Antoinette, minus the guillotines. 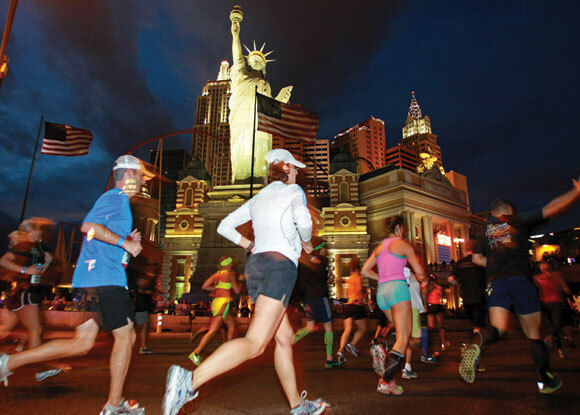 Running is probably the healthiest way to take in the Strip and experience old Las Vegas. 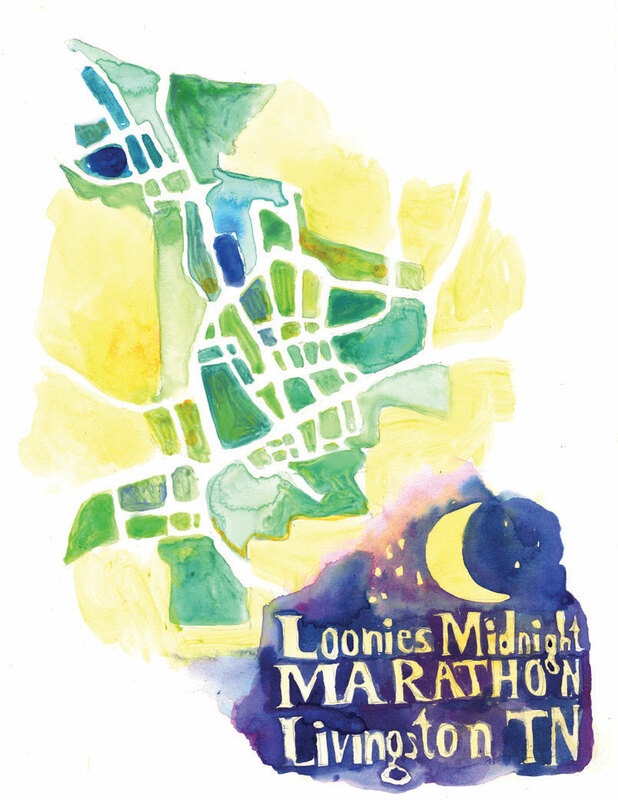 Combine the energy and excitement of running a marathon and the heady, neon pulse of the Las Vegas Strip and you get the world’s largest nighttime running event. Want to dress like Elvis for your run? You’ll have plenty of company. Ready to get married or renew your vows? Don’t miss the three-minute, on-the-run ceremony. Plus there’s plenty of hot rock music on both the marathon and half marathon courses, ideal for runners who like to rage. 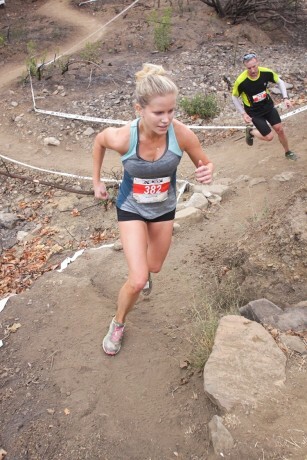 Wear trail running shoes and take it easy on the way out because the return trip is when the course gets rough. Competing against fellow runners is hard enough, but at this race in the Welsh countryside, you have to beat a train, too! As the Talyllyn Railway steam train chugs to Abergynolwyn and back, runners tackle a parallel 14-mile route and try to make it to the finish line before the train reaches its final destination. No easy feat through sheep fields full of muddy terrain, but, given the number of racers that return year after year, it’s a challenge well worth the effort. After enjoying a post-race brunch, get a closer look at the sights by taking the funicular between Upper Town and Lower Town – no steps required! If a Stairmaster is your go-to cross training, this challenge is for you! Quebec City is uniquely situated on both the Cape Diamond rise (Upper Town) and at sea level along the St. Lawrence River (Lower Town), with 30 flights of steps connecting the two sections. 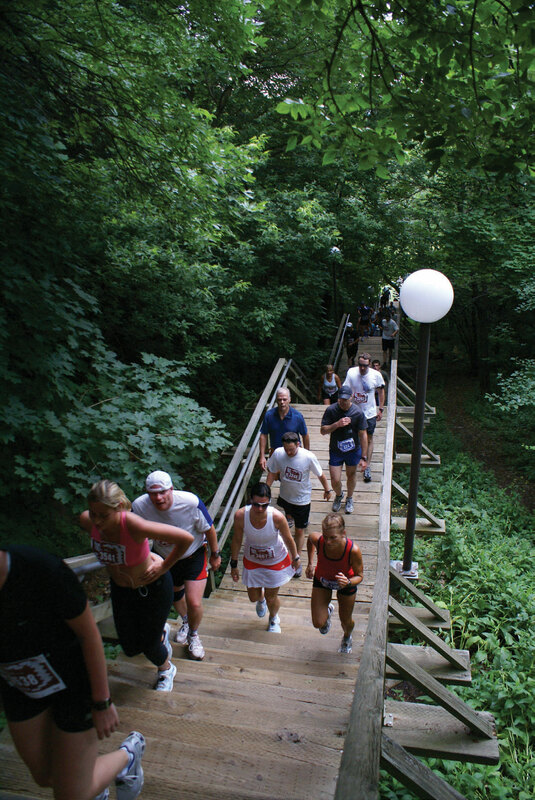 The 19k route takes racers up and down more than 3,000 stairs as they experience the best European flair this side of the Atlantic. 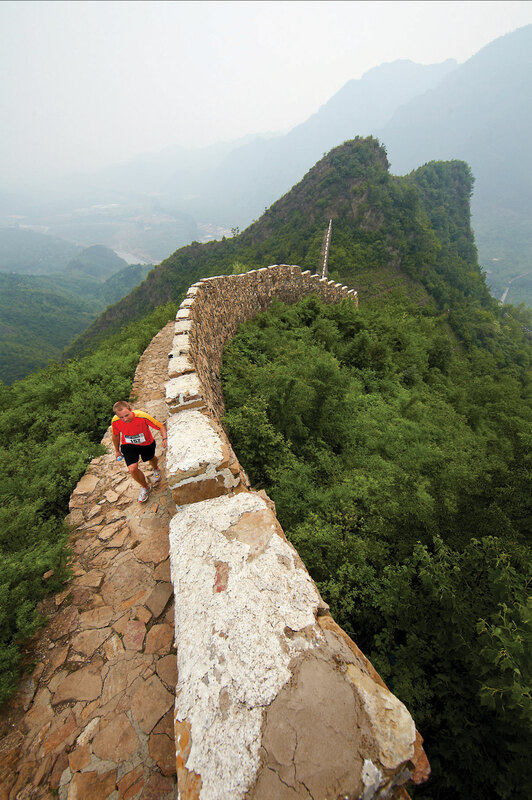 To run the race, participants must sign up for a six- or seven-day travel package, which includes everything from registration, ground transfers, lodging and sightseeing in Beijing. The majestic barrier once responsible for protecting a nation now makes for a formidable challenge for an international field of Lycra-clad racers. Steps (lots of big ones! ), cobble pavement, rural villages and gravel roads are all part of the experience. At least you can go at your own pace without being chased by marauding invaders. Forget about watching the clock. This race is about making memories, not personal bests. After miles of hills, the flat finish may feel like the hardest part. Aspen’s network of steep and rolling trails is a dirt lover’s paradise for in-the-know locals, and the Golden Leaf lets everyone else in on the fun with 13.1 twisting, hilly, leaf-strewn miles. Sure, there’s 980 feet of elevation gain, but it’s the 1,712 feet of roller coaster-like descent that keeps runners on high alert. The route begins at the base of Snowmass Mountain and ends in a picnic-worthy park downtown. Catalina Island may be only a one-hour boat ride off the coast of southern California, but when you step off the ferry, you’ll feel worlds away thanks to beautiful trails and panoramic ocean views. On-course burgers and beer are served before the aptly named Catalina Crush hill at mile 18. But tough peaks only make the nal descent to Avalon, a picturesque beach town, that much sweeter. Athens isn’t known for its shady trees, so some prepared with sunglasses, sunscreen and a hat or visor.